In 1992, the Honorable Patrick Boyer, then a Member of Parliament for the Progressive Conservative Party under the government of Prime Minister Brian Mulroney, kindly awarded me theCommemorative Medal for the 125th Anniversary of Confederation (the first, and I have no doubt the last, medal I will ever be given). And, what did I do to deserve it? Mr. Boyer, a compassionate humanitarian (as well as a constitutional expert and author), was favorably impressed by work I had done to try to prevent the killing of a herd of white-tailed deer at Canada's largest airport, Pearson International Airport, located near Toronto. But, my involvement with the threat to public safety (and their own) posed by wild animals at airports dates back to the late 1960s, when there was concern about a colony of common terns nesting near a smaller airport (now called Billy Bishop Airport, located on Toronto Island, a very short ferry ride across a channel from the city's southern edge, on Lake Ontario). There were also flocking migrant Bonaparte's gulls, plus other gull species, Canada geese, mute swans, other waterfowl, and flocks of dunlin in the vicinity. I toured the site and suggested ways of deterring at least the terns. I recall my frustration that every suggestion I made was ruled out: either as being too costly to maintain or as a violation of some airline regulation, up to and including the obvious idea of simply stringing lines from small, wooden stakes across the sandy terrain where the terns nested, thus preventing them from doing so. Regulations, I learned, forbade such a solution. But, that experience moved me into a more direct interest in the issue, fueled by my friendships with the late John "Red" Mason and the late Wayne Millard, both professional fliers (the former a keen birder, the latter devoted to the welfare of animals). The first airplane fatality from a bird strike happened in 1912, when a single-seat Wright Model EX, flown by the first man to fly across the US (in 70 laps, many involving crash landings! ), Calbraith Perry Rodgers, hit a gull near Long Beach, California. It caused the engine to break loose and hit Rodgers, breaking his neck. But, the most significant event in my own lifetime happened on Oct. 4, 1960, when a Lockheed L-188 flew into a dense flock of starlings while taking off from Logan International Airport in Boston, killing 62 people on board. There were only 10 survivors, many seriously injured. As a teenager fascinated by birds, but who had yet to fly in an airplane (and yearned to), it made a big impression on me. The subsequent investigation showed that turboprops were most vulnerable to catastrophic bird collisions. Back then, wildlife - mostly birds and larger mammals, such as deer and coyotes - were, when deemed a hazard to aircraft taking off and landing, simply shot. As I became a young adult increasingly involved in animal protection, it was thought to be somewhat revolutionary when people concerned about the shooting of so many snowy owls and other birds of prey ("raptors") began to catch them, band them, and move them to be released far away. Most did not return. And, falconers began to use other, trained raptors to chase away gulls, geese, and other bird flocks. Red Mason, who often advised the airport in those days, would occasionally ask my assistance, even having me identify bird remains. I attended workshops and was shown just how much damage even a relatively small bird could cause when sucked into a jet engine. But, there was a dark side to it all. Attracted to the business of airport wildlife control were unscrupulous professional falconers who used their legally obtained, licensed, trained raptors to "launder" illegally obtained birds poached from the wild. I did an investigation and was able to publicly expose some of their wrongdoings in The Toronto Star. However, they took revenge by having me charged with stealing falcons. Actually, the two birds, escaped from falconers, had been legally rescued by me. The police had been duped into thinking I must have stolen them, and I was charged. Those charges were ultimately thrown out, but it left me with a less-than-positive attitude toward the then- relatively new profession of airport wildlife control: an outlook in no way improved by reports of mass shootings of all manner of wild animals, whether threats to wildlife or not, at JFK Airport in NYC. Still, my interest remained, and I was horrified a few years ago to learn of plans to extend one runway at Toronto Island's airport into Toronto Bay and, at the other end, Lake Ontario. This is to allow use of the airport by passenger jets - the very kinds of airplanes most at risk from bird strikes - as opposed to the propeller-driven and short-take-off-and-landing planes now used, including by me. And, so it was that last Sep. 18, I found myself at Montreal's Trudeau International Airport attending a one-day training seminar that followed the 2015 North American Bird Strike Conference, attended by my two friends, Georges Dupras and Anne Streeter. They briefed me at dinner the previous evening and gave me conference documents. Pierre Molina of Falcon Environmental Services Inc. and Gary Searing of Airport Wildlife Management International led a small number of professionals, plus me, through a fascinating day of airport wildlife management training. The most important lesson for me is that there is a significant, and ongoing, move toward professionalism. Yes, trapping and relocation, and killing, still occur - but they are no longer the default solutions to problems caused by the presence of wildlife at airports. And yes, my agenda is to protect animals, but no one (certainly not I) wants to see wildlife strikes at airports; we all want to reduce them as much as possible. That's the good news. The bad is that all wildlife control can do is try to control wildlife who is on or near the airport and who pose a risk. (Not all wildlife does.) The biggest single problem is that airports are too often placed right where aircraft landing and taking off are most likely to encounter birds. 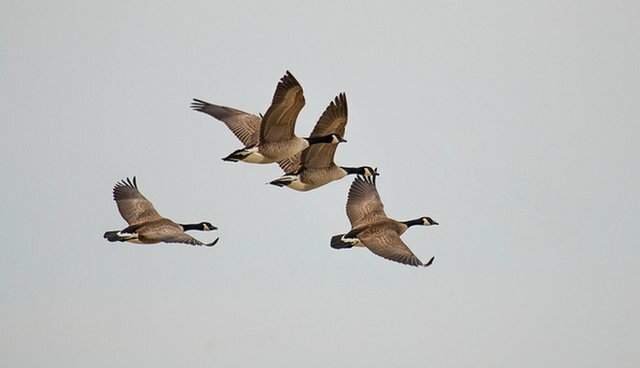 And, as I had known since that Boston catastrophe of 1960, planes flying low over water and shorelines pose huge risk, as that is where so many birds - geese and other waterfowl, gulls, cormorants, herons, migrant raptors, and migrant flocks of shorebirds - are most likely to be in the way. What wildlife control agencies cannot do is influence the process by which decisions are made. And so, the effort must continue to prevent the runway extensions at Billy Bishop. Airplanes approaching or leaving that runway from or toward the East will be flying directly over the largest cormorant and the largest ring-billed gull colony in the Great Lakes, as well as numerous geese, swans, herons, and the wintering ducks who fly right where the runway will end. It's madness. Wildlife controllers, no matter how sophisticated, can only do so much. The problem should not be created in the first place. Profit should not trump risk to human or animal life.